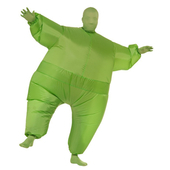 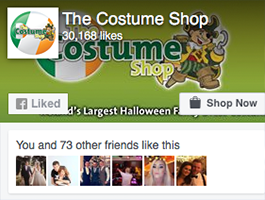 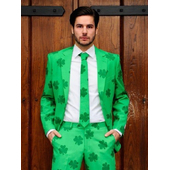 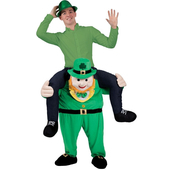 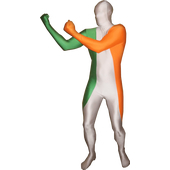 Our Lucky Leprechaun Mascot costume is perfect for St Patrick's day parade or any irish theme'd event. 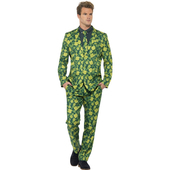 Included in this costume is a one piece jumpsuit with faux jacket and an attached bow toe and shoe covers. 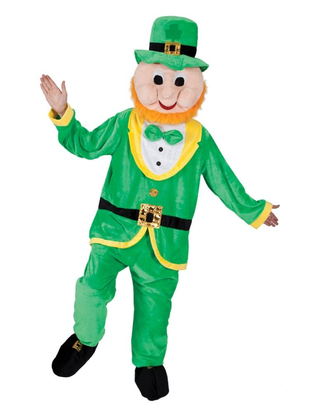 To complete the look a mascot leprechaun headpiece is also included.